The Irish Tenors, the singing trio from Ireland, is coming to State Theatre New Jersey on December 1. Get ready for a melodic evening full of Christmas songs packed with Irish Culture from Ireland’s premier singing group. In 1998 Daniel Harte and Bill Hughes, from the PBS network, wanted to produce a TV special about a trio of Irish Tenors so they approached Finbar Wright, one of Ireland’s leading tenors, to lead the group. They were informed however that there was a conflict with his contract with Sony BMG so he had to decline. They instead invited John McDermott, a Canadian balladeer, to lead the group and he accepted the offer. 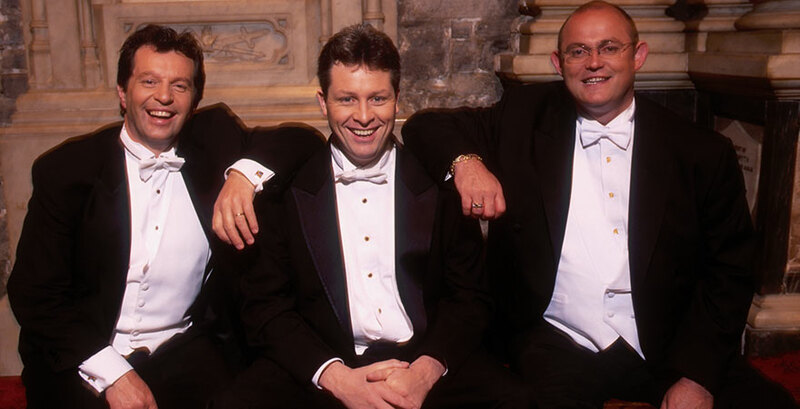 They then asked Anthony Kearns and Ronan Tynan and the tenor trio group called The Irish Tenors was formed. In 1999, they produced The Irish Tenors: Live in Dublin, which was shown on PBS in the U.S. They enjoyed it so much that PBS requested another special, however, in 2000, McDermott had a death in his family and could not put his full attention towards the group and left. Harte and Hughes approached Finbar again, who immediately accepted, having left his previous recording company. They produced two more specials, The Irish Tenors – Live in Belfastand Ellis Island, the latter hosted by Irish-American actor Martin Sheen. Over the next few years, their line-up changed a number of times, including temporary members McDermott and Karl Scully. In 2006, they lent their voices and presented a nine-part TV special for Ireland’s RTE called The Irish Tenors & Friends. The current members, Wright, Tynan, and Kearns, tour twice a year, around St. Patrick’s Day and the Christmas Holiday. The Irish Tenors will be stopping by State Theatre New Jersey on their annual Christmas tour at on Friday, December 1 at 8pm. Don’t miss your chance to see Ireland’s finest tenors sing hits from their Christmas album, Home for Christmas, and other favorites.